Inclusions vary depending on sailing. Please confirm with the Cruise Guru reservations team on 13 13 03 as to which inclusions you will receive on your cruise. View Plus+ cruises below, or check out all Holland America cruises from Australia, visit our main Holland America page for more options, or use our Cruise Finder to search for your perfect Holland America cruise. Alternatively. view our other cruise deals. Plus+ Cruises: Select sailings are entitled to additional onboard amenities. Guests may receive Pinnacle Grill lunch for the first and second guest only, navigator wine bottle per cabin, bon voyage sparkling wine per cabin or Canaletto Dinner for first and second guest only on applicable sailings. One complimentary Pinnacle Grill lunch or Canaletto dinner per person (max 2 per stateroom) is not transferrable and not refundable. Reservations and dining times will be assigned. Offer excludes specialty dining events such as Le Cirque, de Librije, Master Chef's Table and Sommelier Dinner. Bon Voyage Sparkling wine and Navigator Wine bottle voucher will be provided in your stateroom upon arrival. Please contact Cruise Guru on 13 13 03 to confirm which amenities are applicable to your promotional fare departure. AU$10 per person deposits are exclusive to Cruise Guru. Only sailings of 49 nights or less qualify for the $10 deposit promotion. Deposits are non refundable and non transferable. No further payment is required until the final payment date as specified on your invoice. Not all sailings are eligible for this reduced deposit initiative. Not combinable with Non-Refundable Flash Sale. Deposit will be collected at time of booking by credit card, no direct transfer is permitted on this promotion. 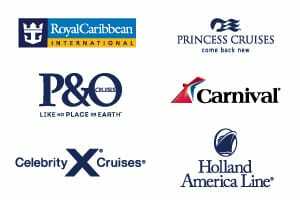 Final cruise balance will automatically be debited on the exiting credit card on file, unless otherwise advised prior to final dates. Cruise Guru reserves the right to withdraw this promotion at anytime without prior notice. Promotion ends 30 April 2019 unless sold out or withdrawn prior. Further conditions may apply.